The Pokémon Company International, the US-based subsidiary of Japanese gaming company The Pokemon Company, is celebrating 20 years of gaming and merchandise with “Train On”, a commercial released to coincide with the 2016 Super Bowl game. The “Pokemon Train On”ad, shot in Rio de Janeiro, explores ambition, drive, and training, concepts that every Pokémon Trainer is familiar with. Pokémon fans around the world will enjoy identifying all of the hidden Pokémon references in the ad. A 30-second version of the ad will be aired at the beginning of the third quarter of Super Bowl 50. 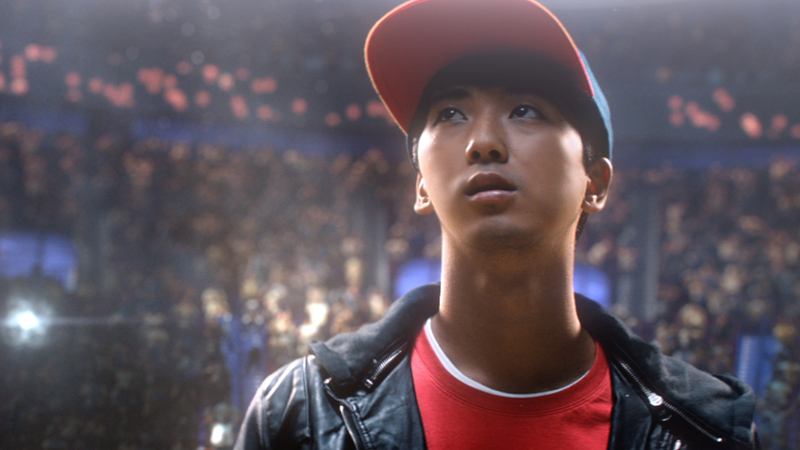 The Pokemon Super Bowl ad is part of a yearlong campaign celebrating 20 years of Pokémon. First introduced in Japan in 1996 with the video games Pokémon Red and Pokémon Green for the Nintendo Game Boy system, Pokémon has delighted fans of all ages around the world for two decades. With more than 275 million video games sold worldwide, 21.5 billion TCG cards shipped to 74 countries, and an animated series spanning 18 seasons, Pokémon is one of the most successful entertainment brands in the world. More details can be found at Pokemon.com/20. Fans visiting the site throughout the year will find information about monthly Mythical Pokémon distributions, retail events, special products, messages from some of Pokémon’s biggest fans, and the upcoming Pokémon Photo Booth app. The Pokemon Train On campaign was developed at Omelet, Los Angeles, by executive creative director Shannon McGlothin, creative directors Clemente Bornacelli and Josh Smutko, chief production officer Dan Ruth and agency producer Forrest Holt, working with J.C. Smith, senior director of Consumer Marketing at The Pokémon Company International. Filming was shot by director Paul Geusebroek via Iconoclast with executive producer Charles-Marie Anthonioz, producer Charlotte Woodhead, director of photography Menno Mans. Editor was Rich Orrick at Work Post. Post production was done at Digital Domain. Music was produced at Comma.